Turn off the lights as well as your computer!!!!!!!!!!!!!! 1st time in the world's history, Malaysia participated the 'Earth Hour' for 2009. 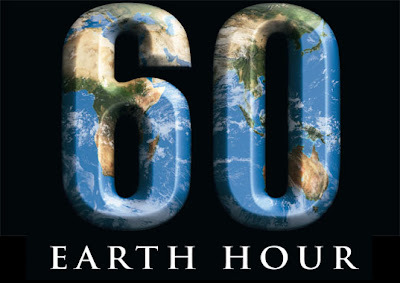 There are totally 88 countries and more than 4000 cities joined the 'Earth Hour 2009'. Ah, I believe that many residents especially in KL will support 'Earth Hour'. From what I saw last night in Miri, the housing area where I live, out of 10 houses, I think only 1 or 2 houses supported 'Earth Hour', disincluding me of course. No one gave it a damn about it!!! Well, Malaysians, be supportive for next year!!! Just one hour, it won't kill you. You can die survive for 1 hour even without a candle as well. Safe mother nature as well as your electric bill! If you think one hour is not enough, go for 2 hours or so on, cheers. Do your own "Home Hour".